Talk about style with added dimension. 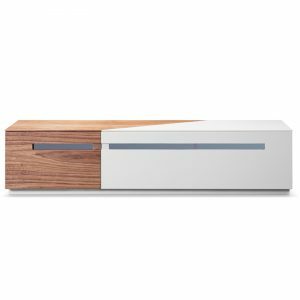 The City collection stands out for its illusion of raised profile overlays that lure your attention to the center of each walnut accent square. 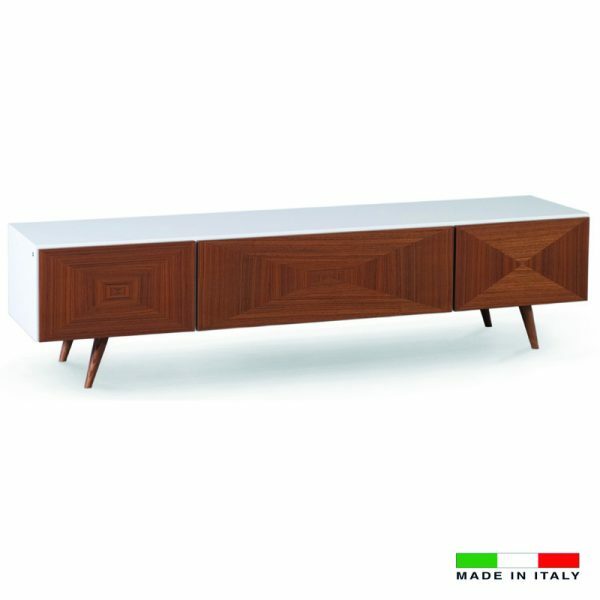 Beautifully clean lines, a high gloss lacquer body and a rich walnut finish add to the eye candy. 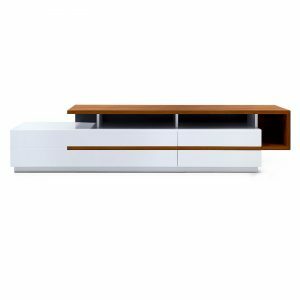 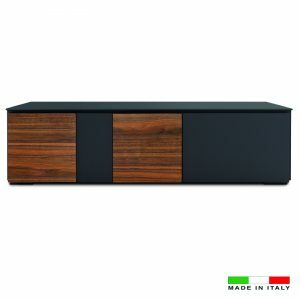 The City TV Stand features 3 walnut doors with shelf space to accommodate your media equipment needs and serve as storage to eliminate clutter. 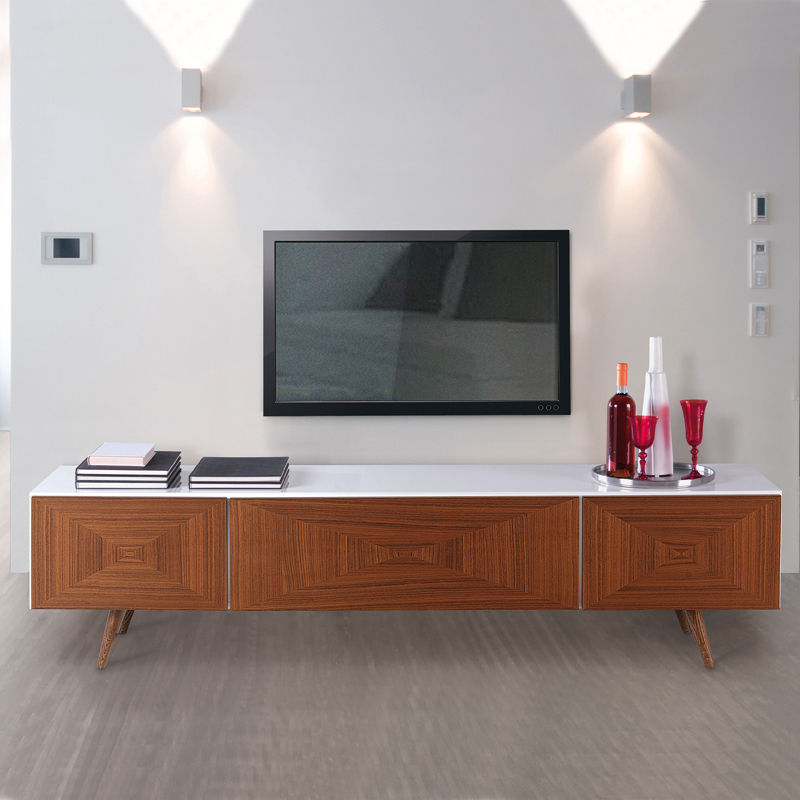 Paired with the cabinet and sideboard, the City collection is a must have for any contemporary styled home!